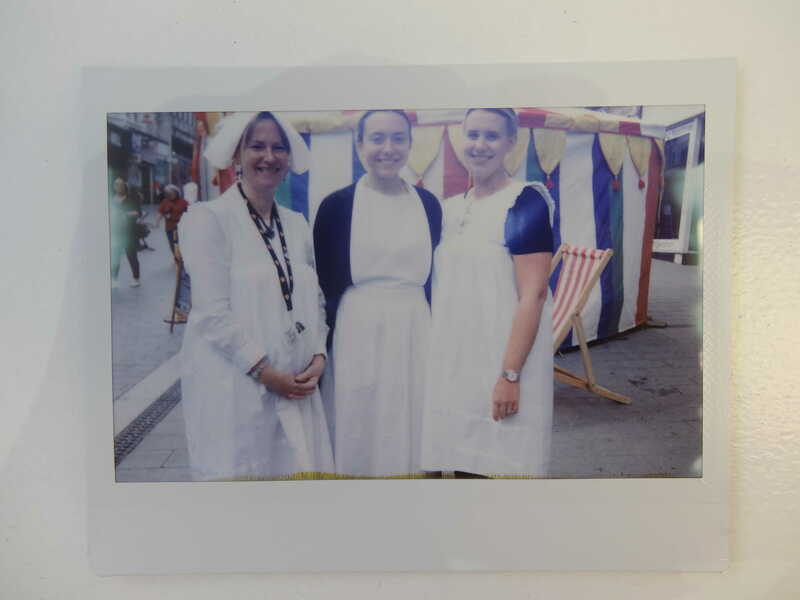 It was a lovely day for an Inspire Day last week! 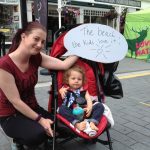 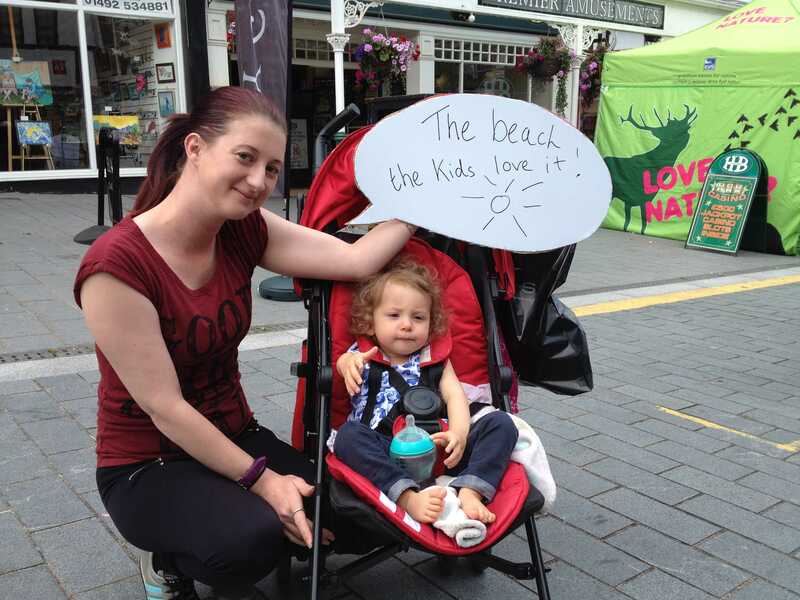 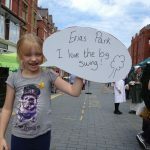 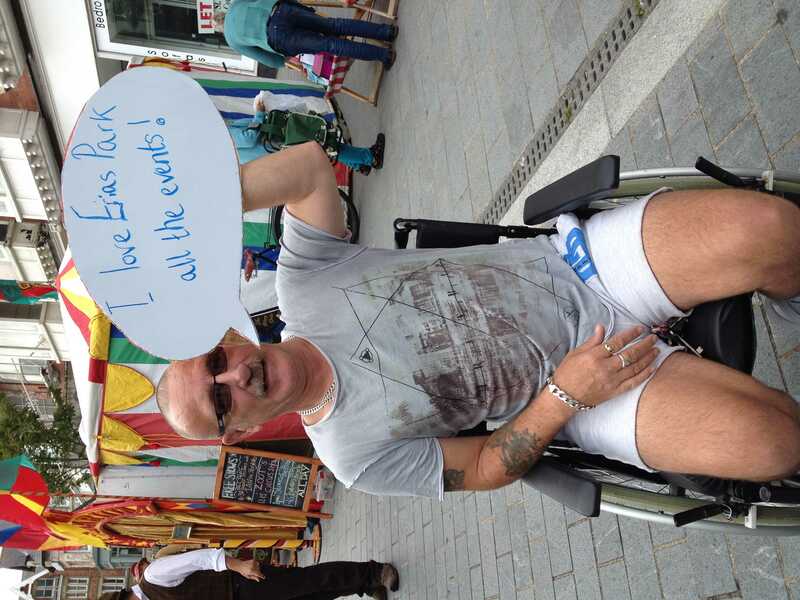 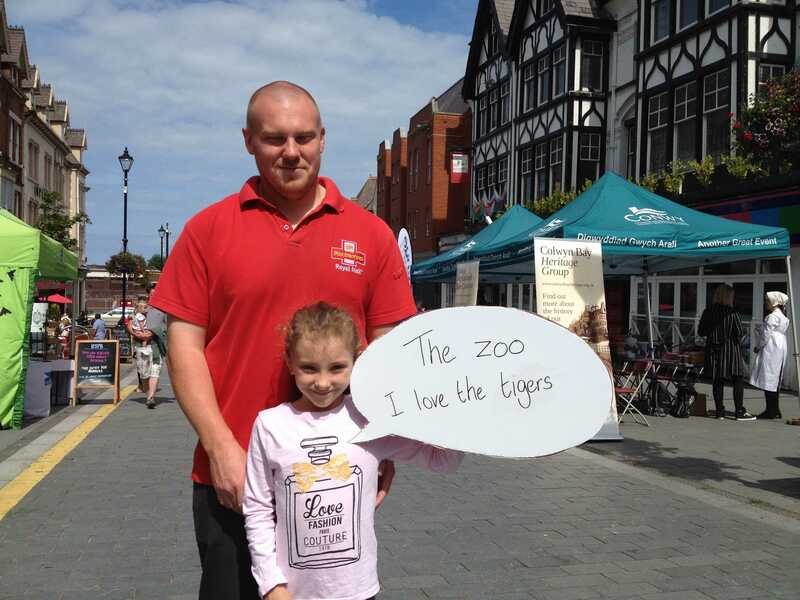 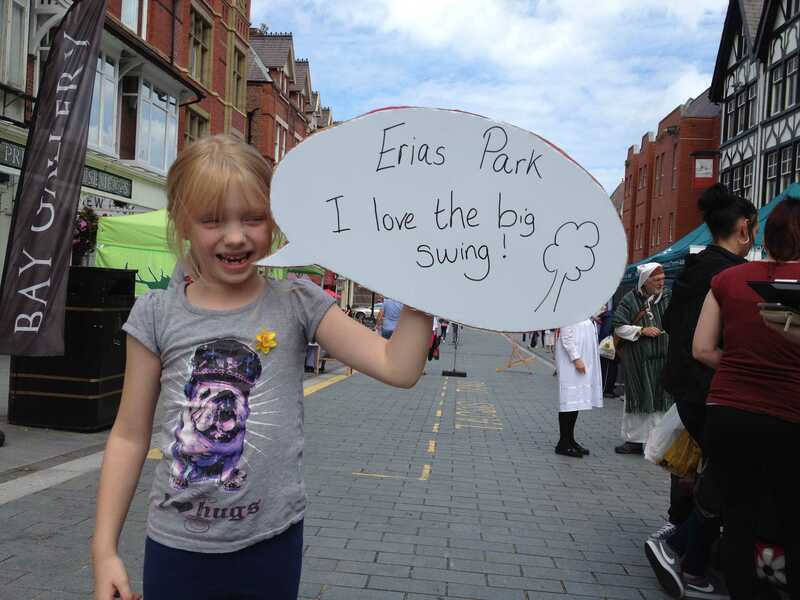 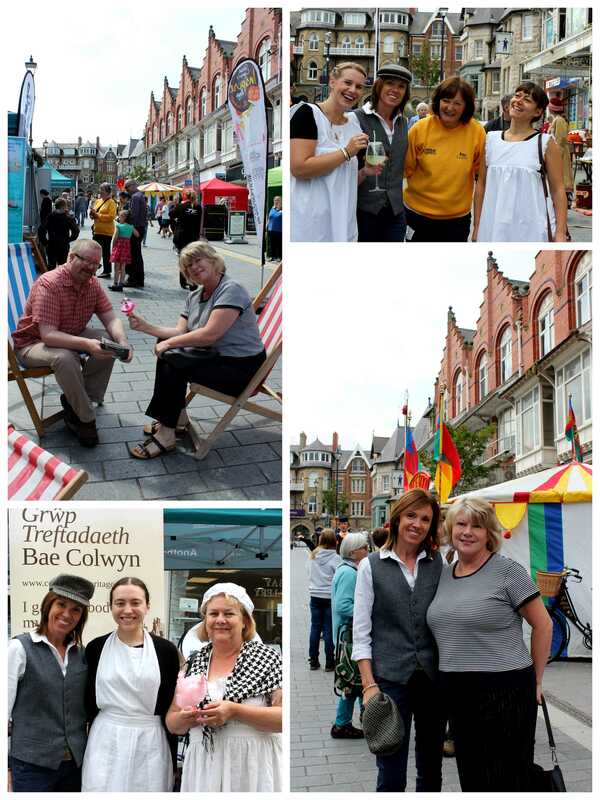 Friday the 5th of August saw the ‘take pART’ Festival bring a fantastic Inspire Day to Colwyn Bay. 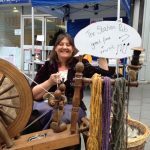 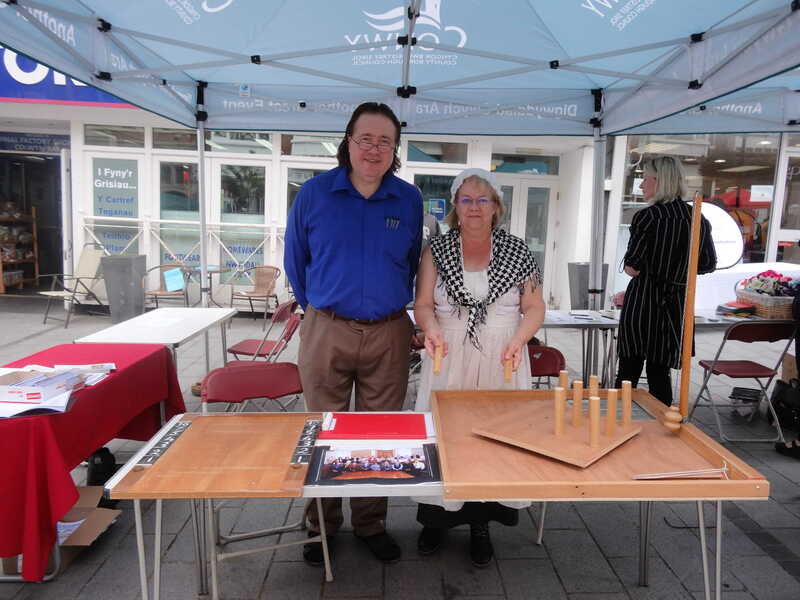 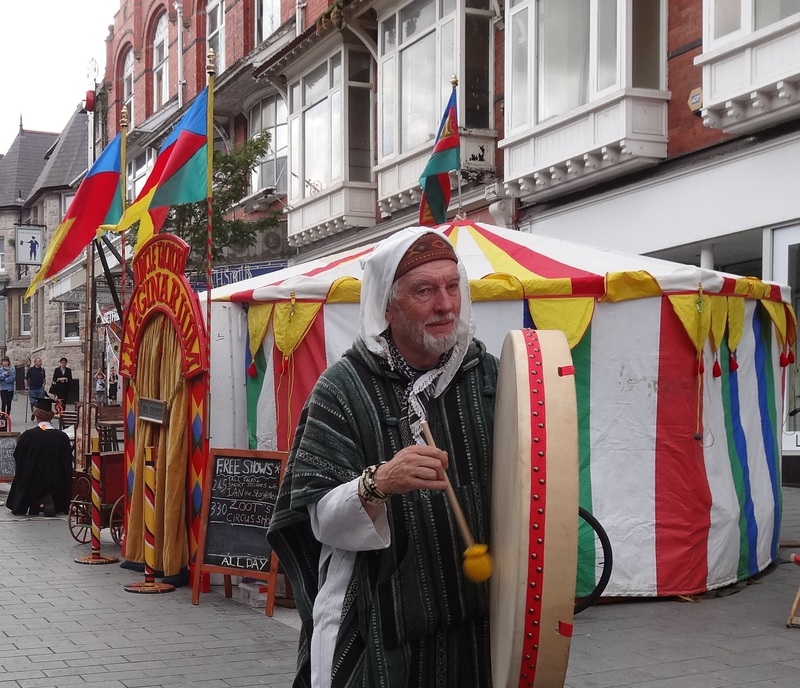 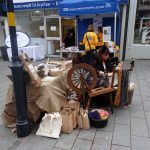 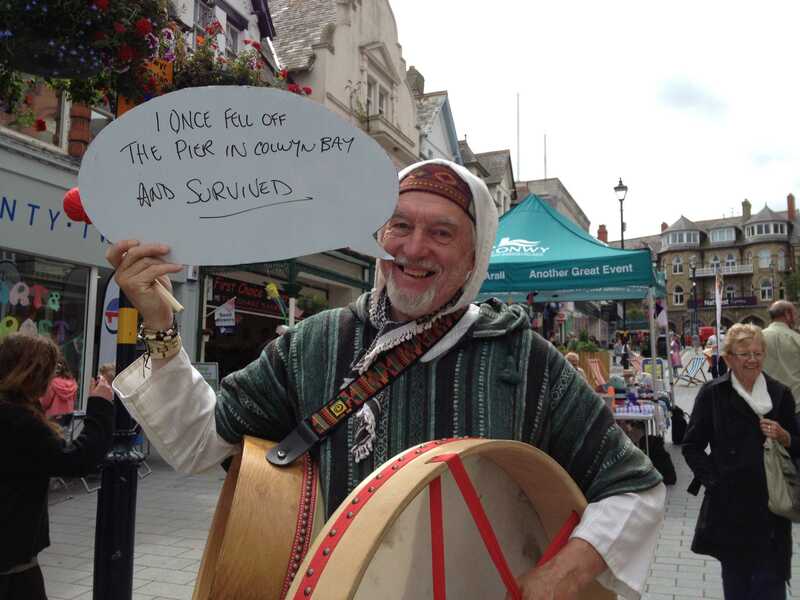 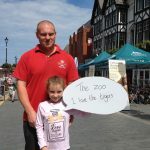 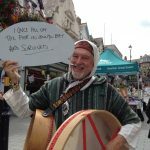 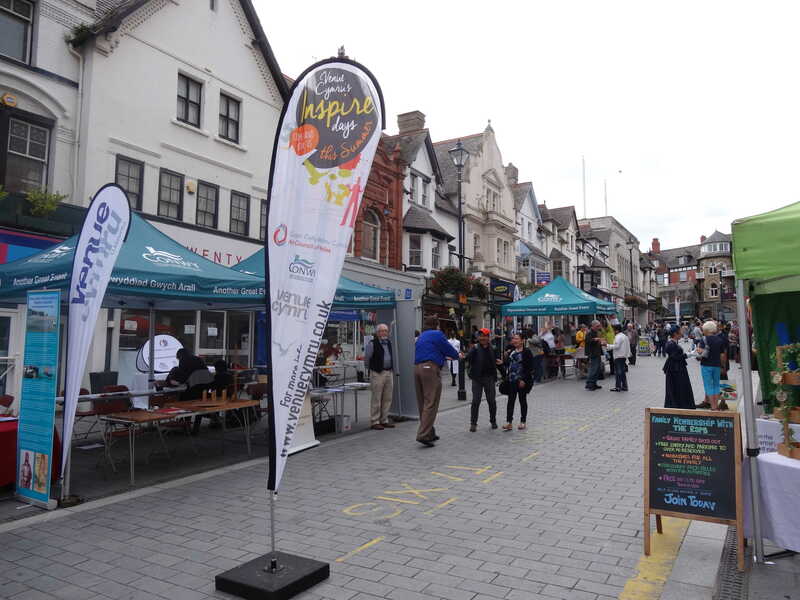 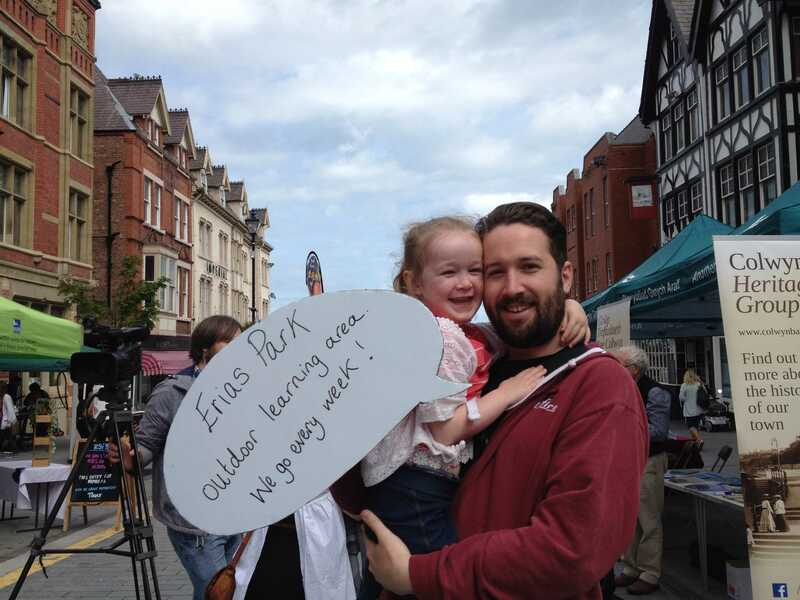 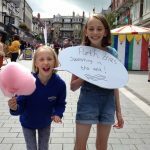 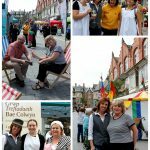 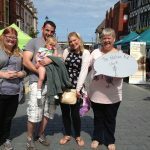 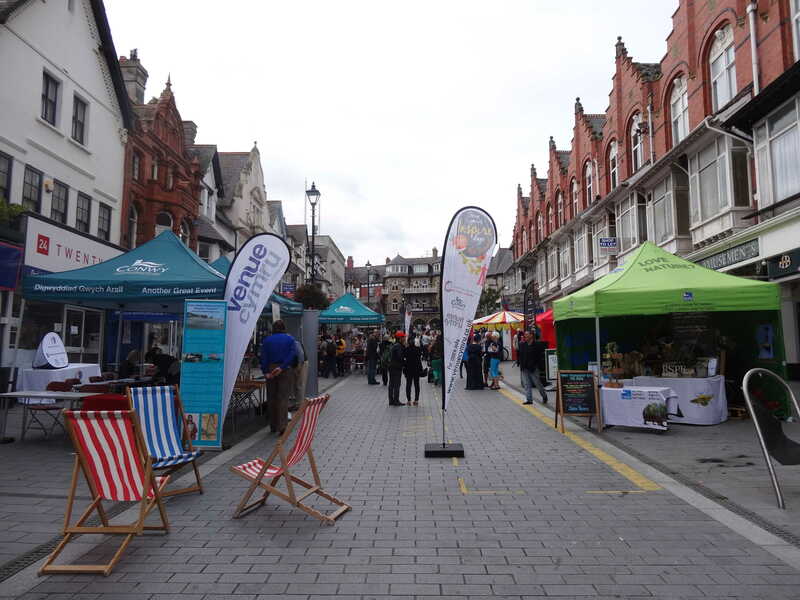 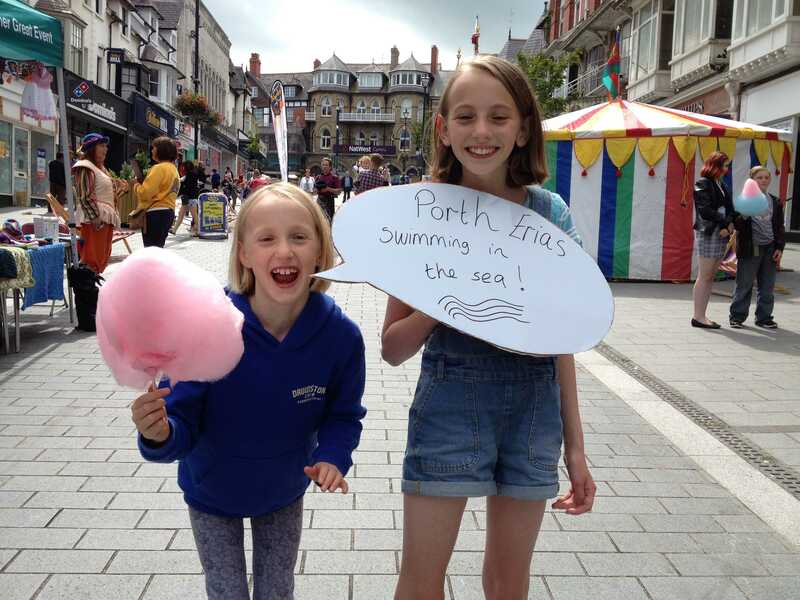 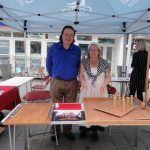 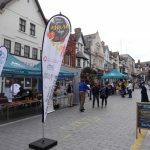 Inspire Days are great ways to bring communities together, as a series of free activity and performance days across Conwy in association with Colwyn Bay Townscape Heritage Initiative, Arts Council of Wales, Conwy County Borough Council, Welsh Government & Communities First. 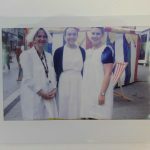 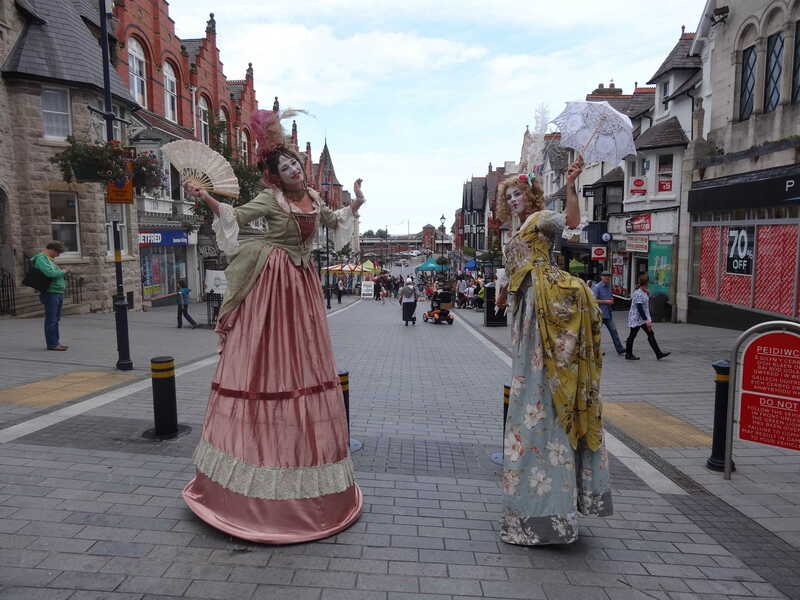 The Colwyn Bay Inspire Day was Victorian-themed, and much fun was had by all the attendees! 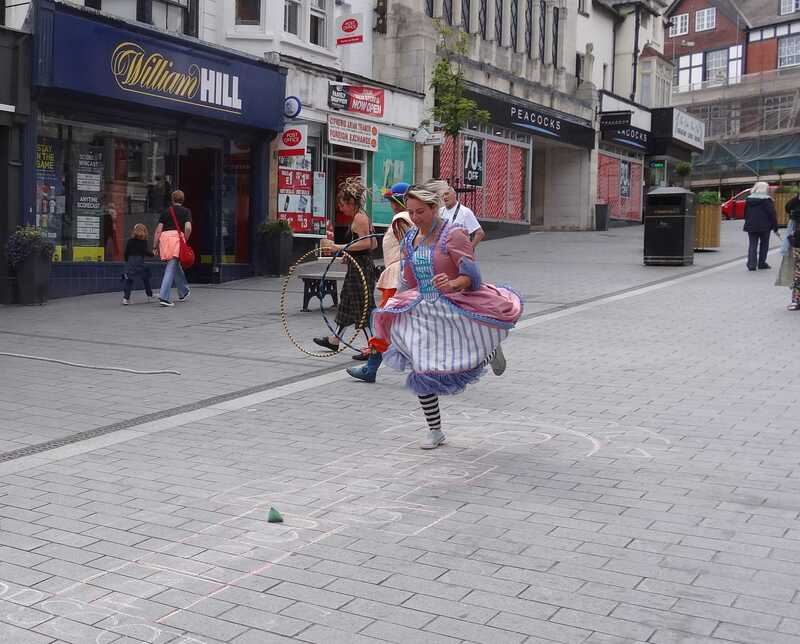 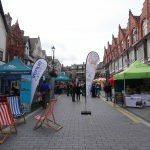 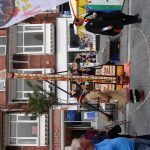 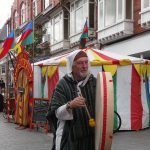 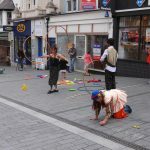 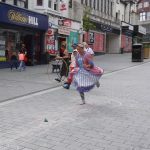 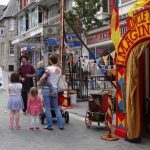 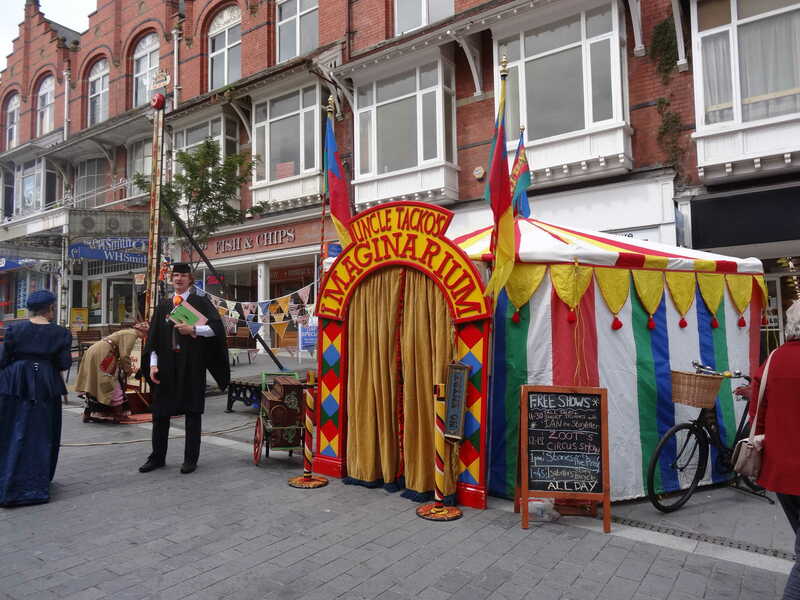 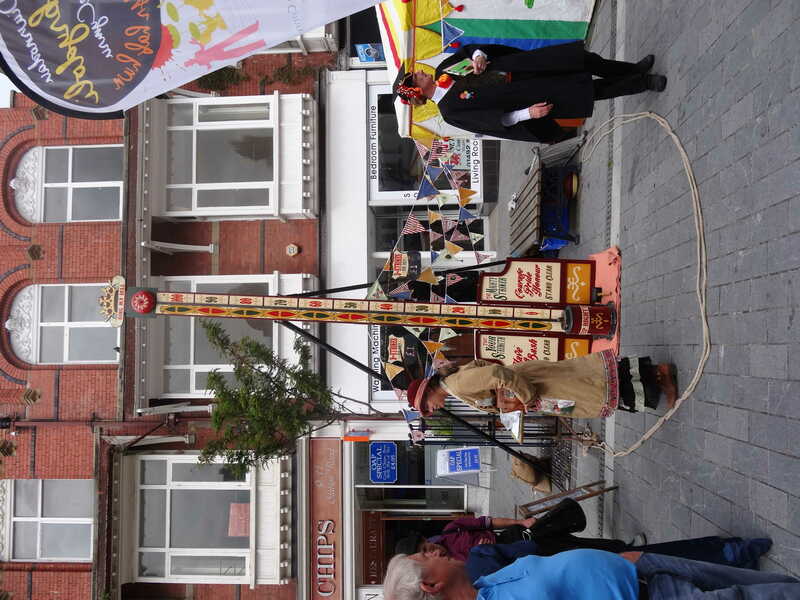 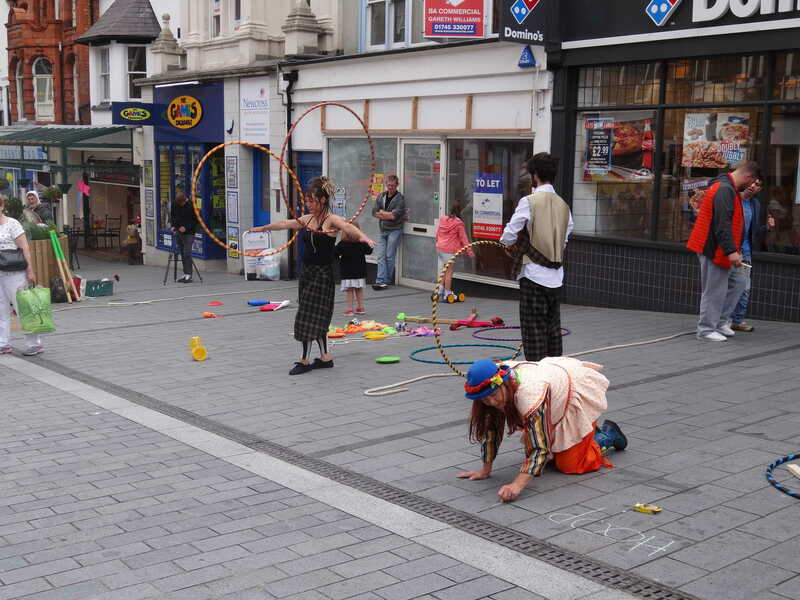 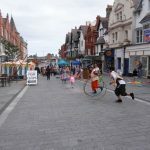 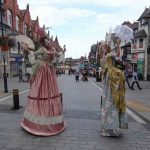 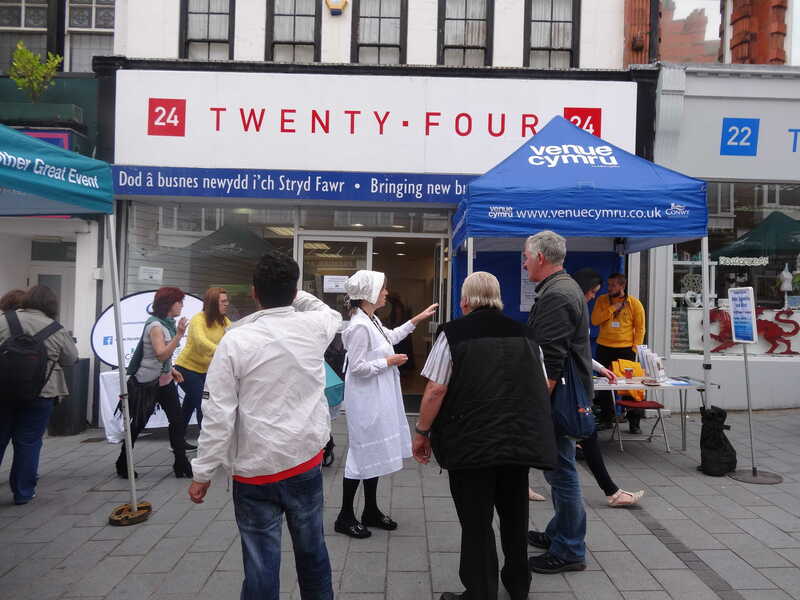 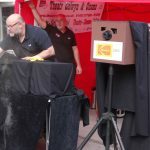 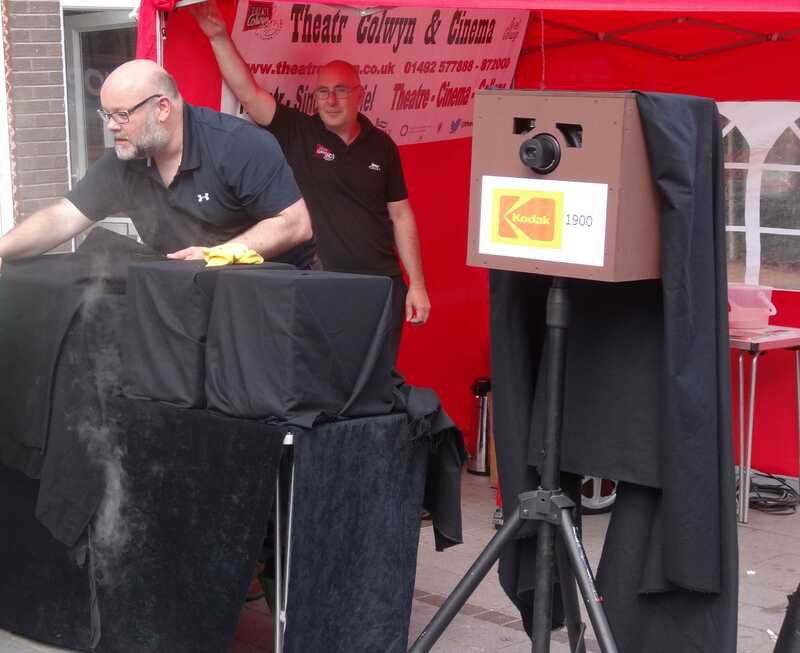 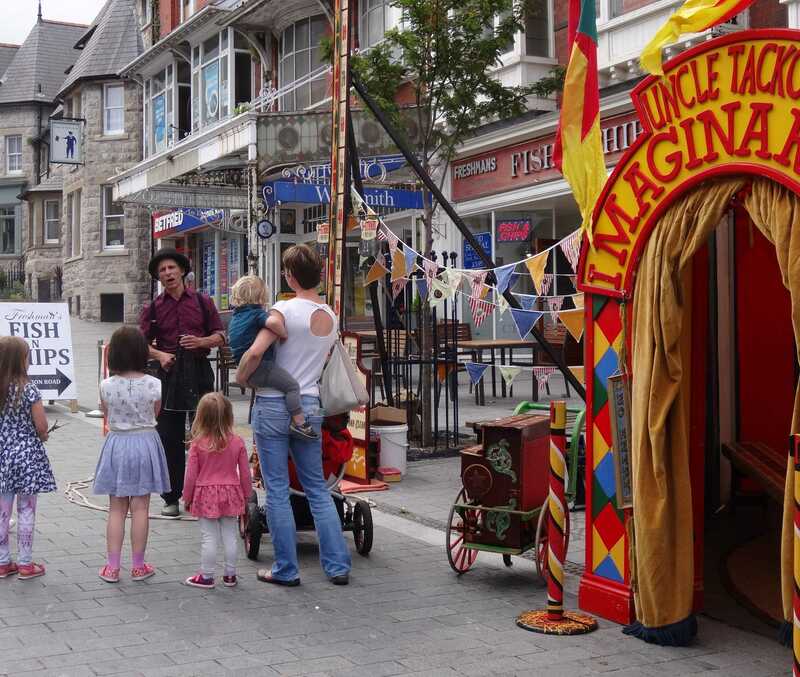 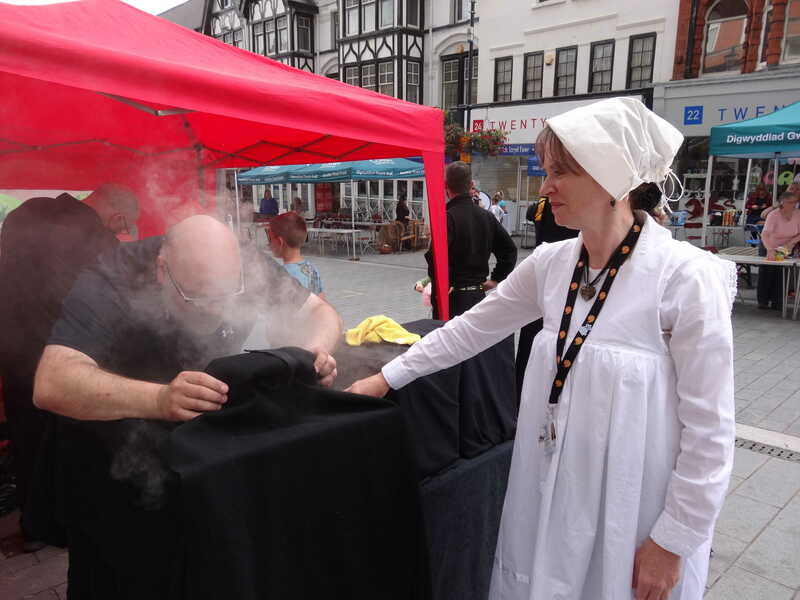 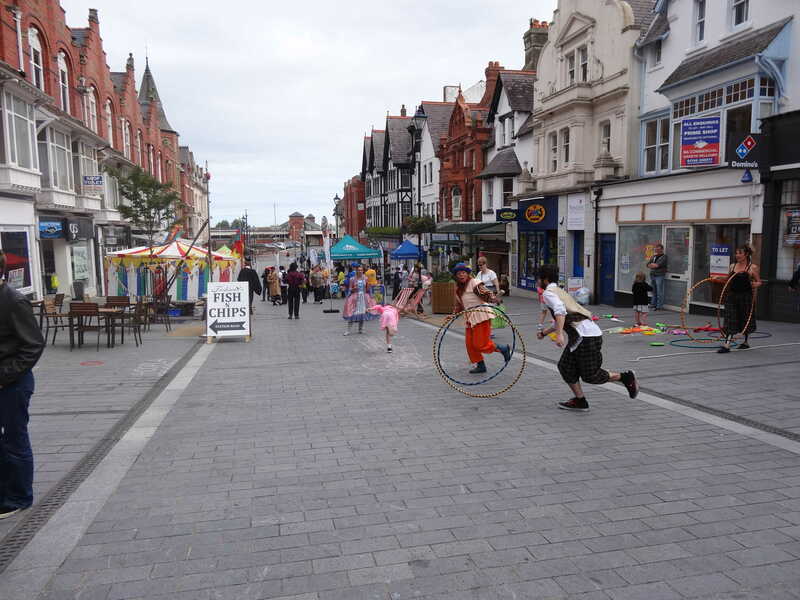 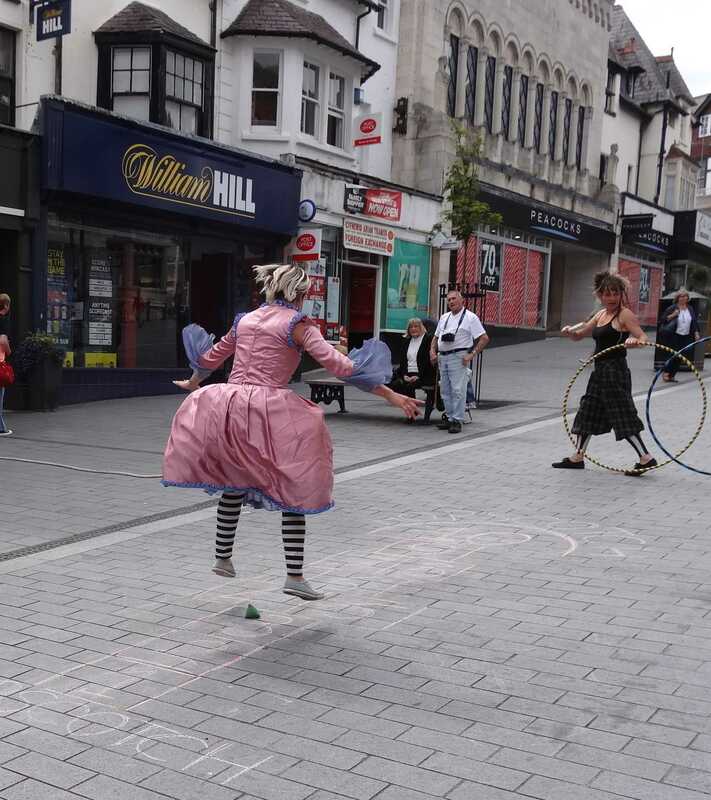 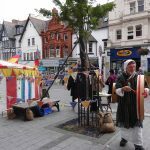 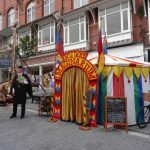 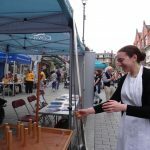 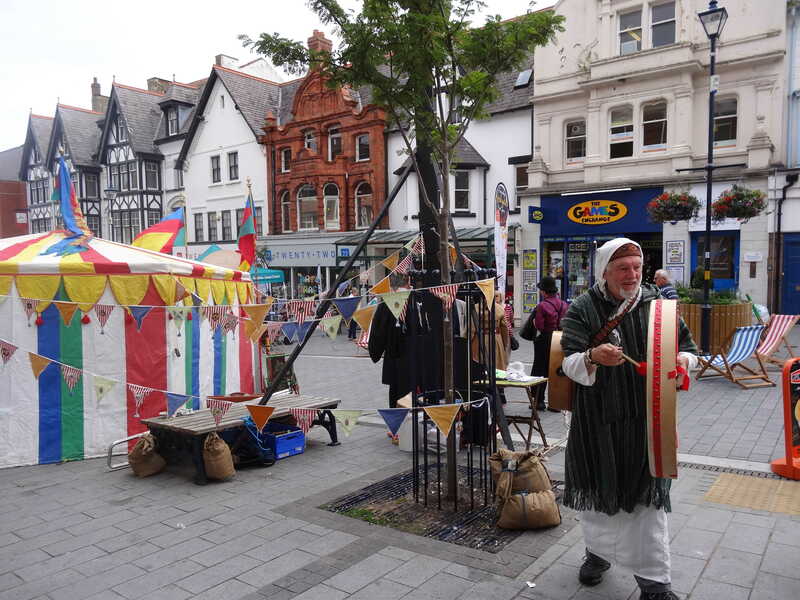 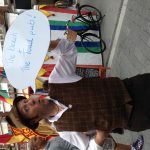 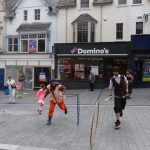 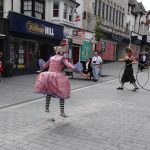 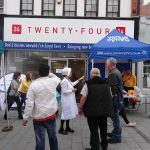 Visitors enjoyed traditional Victorian games, street performers and shows on Station Road in the centre of the town. 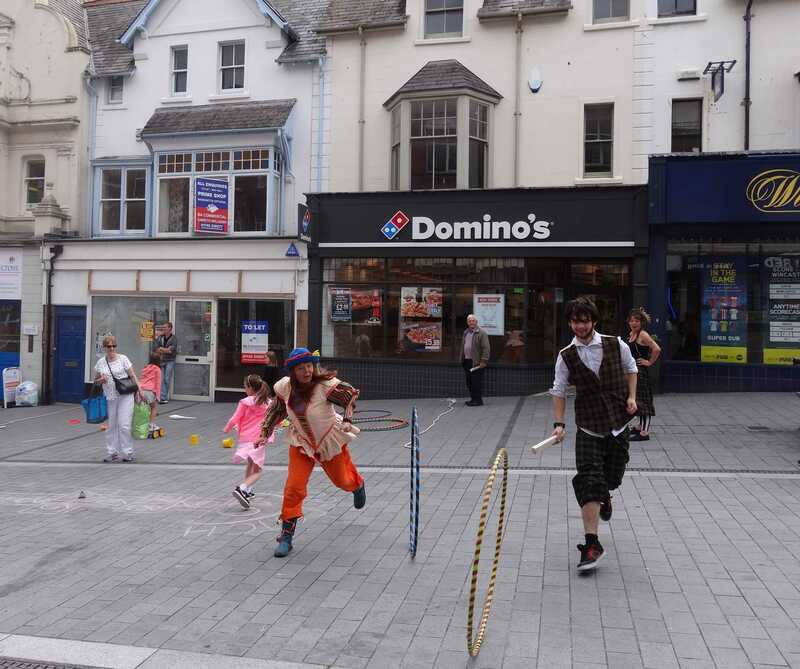 Pigtown Theatre Company, from Mochdre, also contributed to the day; Pigtown work in partnership with charities and the community to deliver drama sessions that develop new skills as well as other projects. 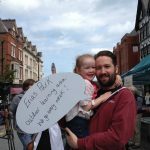 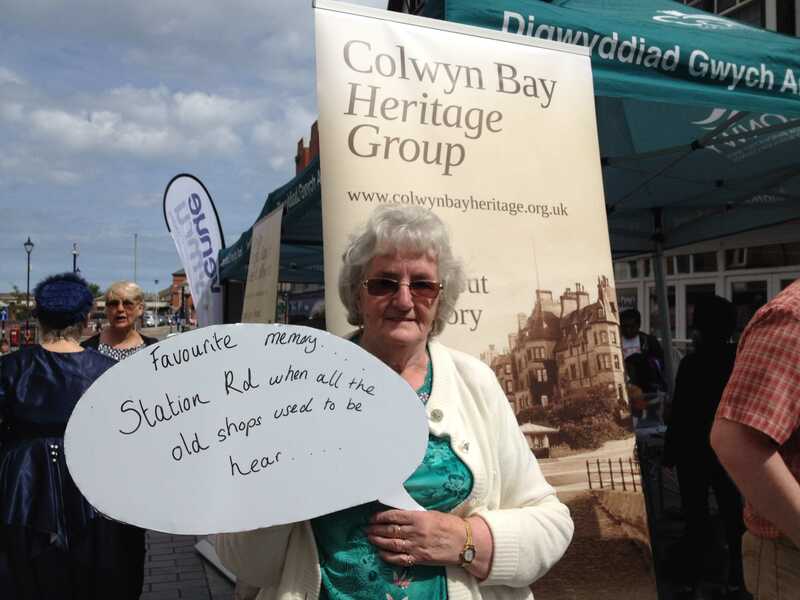 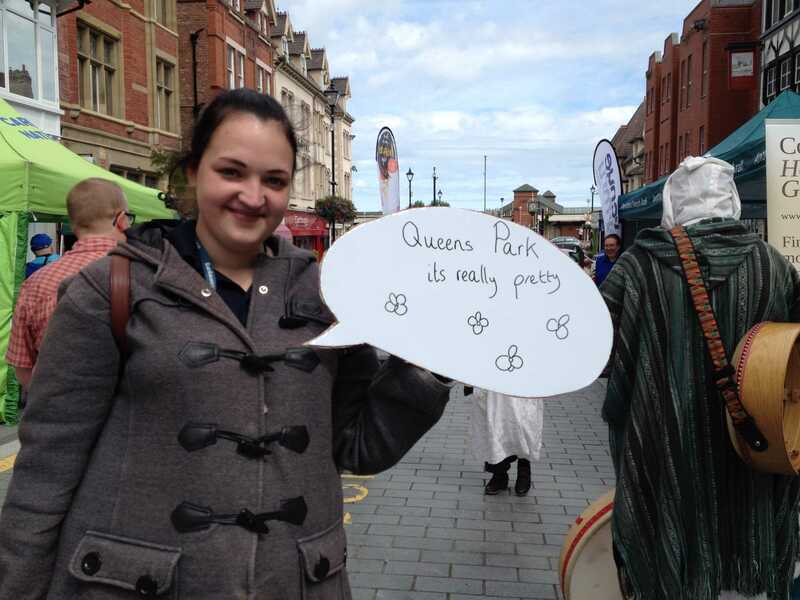 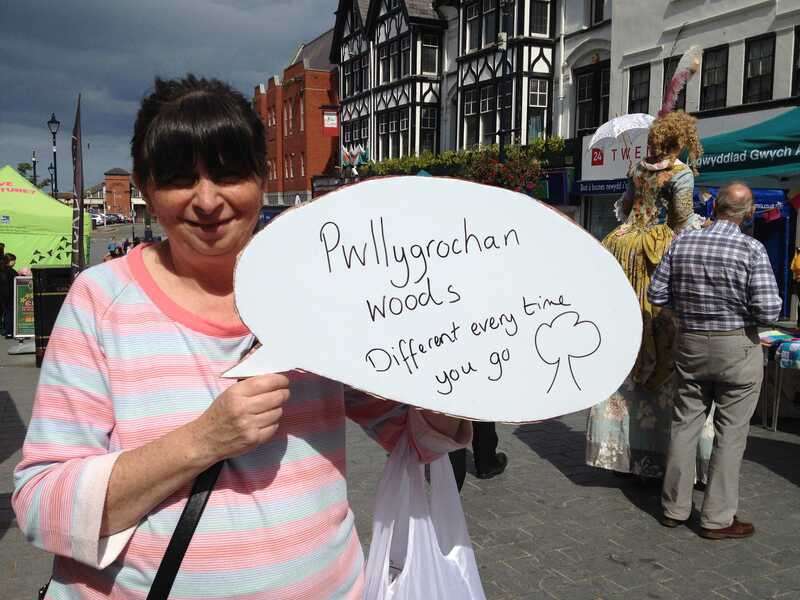 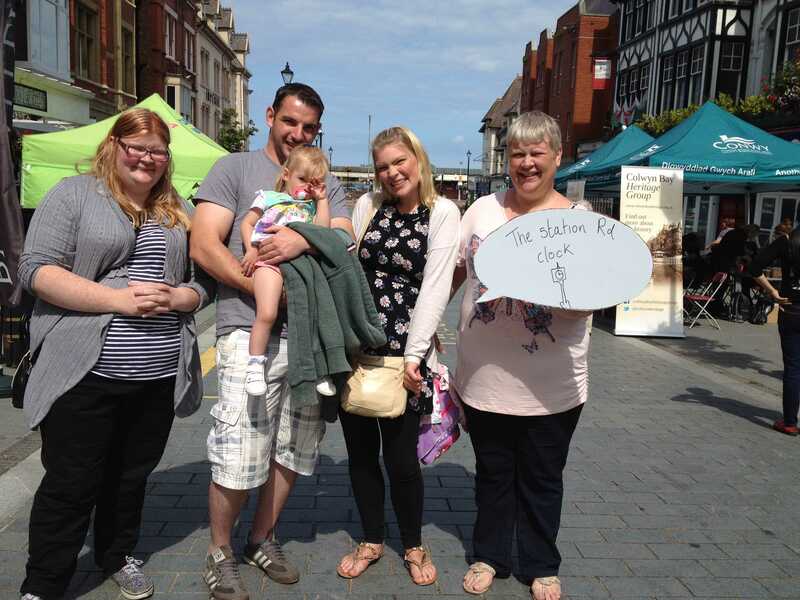 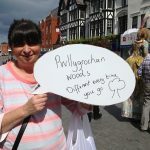 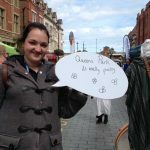 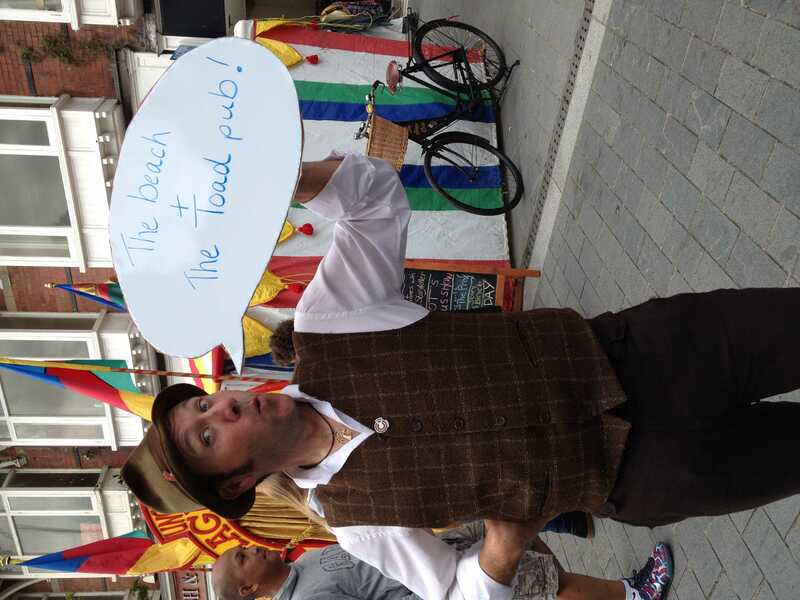 Pigtown asked visitors about their memories of the area; people enjoyed having their memories heard, and written on a giant speech bubble! 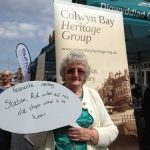 Many other organisations got involved; Colwyn Bay Heritage Group were in attendance to talk about the Victorian heritage of the town, Colwyn Bay Library ran storytelling sessions throughout the day and Theatr Colwyn provided popcorn and ran Victorian photography sessions where many people took away their own Victorian photograph (also known as a polaroid) as a souvenir! 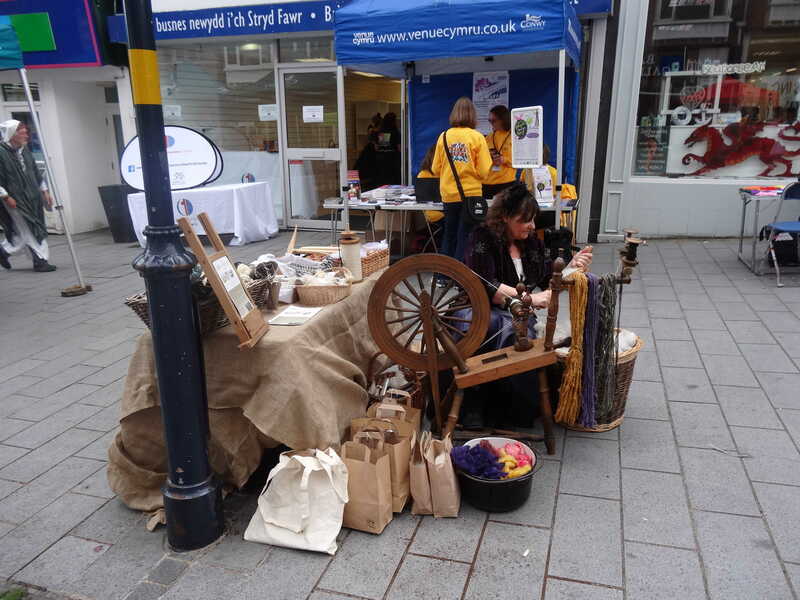 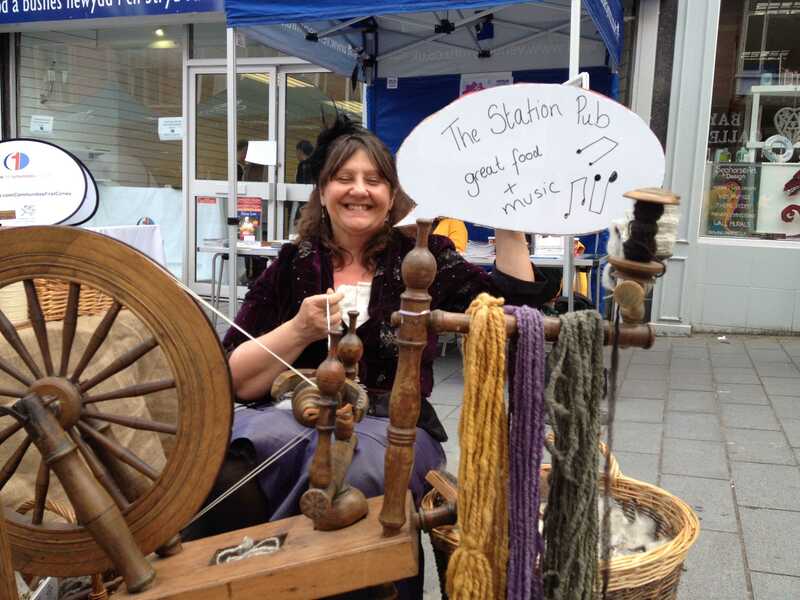 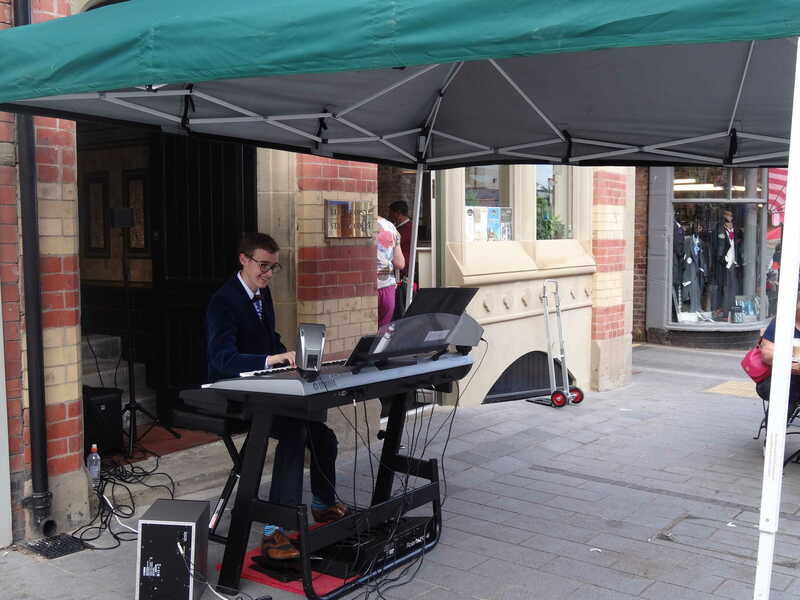 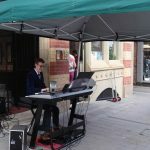 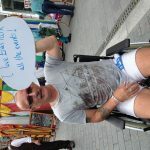 It was fantastic to see Station Road brimming with stalls and things to watch or join in with. 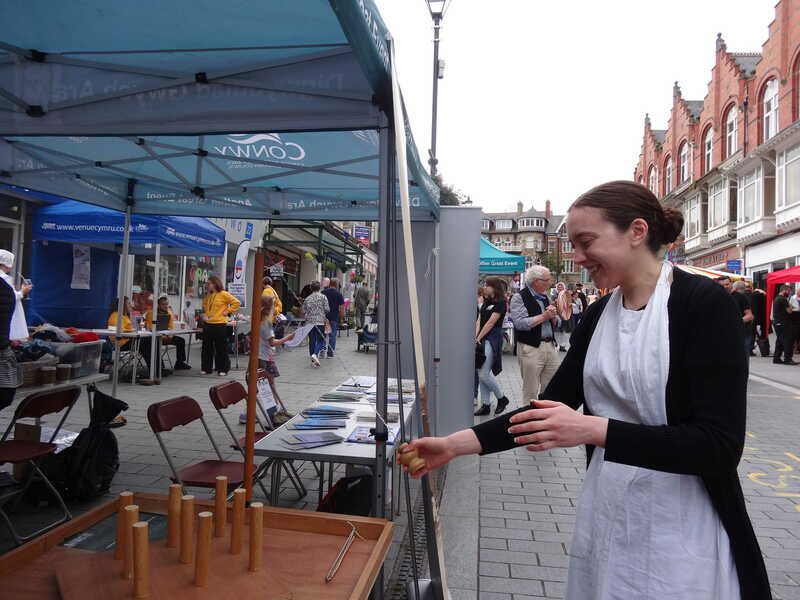 Lots of people enjoyed the chance to take part in the array of activities on offer, and many enjoyed watching the entertainment on show.